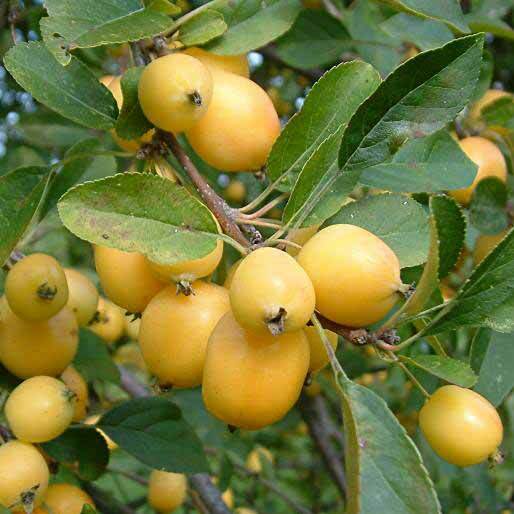 Of all the yellow fruited crab apples this is the most well known and prolific. A mass display of deep golden fruits follow the pink budded white flowers. An excellent choice for pollinating apple trees and also suitable for making crab apple jelly.